If you’ve missed the news, from 9 May, Marketing will become part of an all-new Campaign brand, with an ambition to serve forward-thinking creative marketers as the number-one title for this broader audience. Campaign will be repositioned for the wider marketing industry. Everything that Marketing does best – from news, views, trends insights and all our content about the role of innovative brands and marketers today – will be at the centre of the new brand. You, as a marketer, will be at the heart of our proposition. The new Campaign is for you. The expanded single team, which comprises the expertise of all the journalists of Marketing, Brand Republic, Media Week and the current Campaign, will bring you the very latest in what’s happening across the world of brands, agencies, media and marketing-related tech. We will be able to present a unique and holistic view of the changes that are shaping the wider marketing world, not just in the UK, but everywhere from San Francisco to Shanghai, as part of an integrated Campaign network. Campaign is already a global brand, now operating in seven markets – and we believe a global platform, operating at local level, will mean that we can serve your needs better than ever in the future. 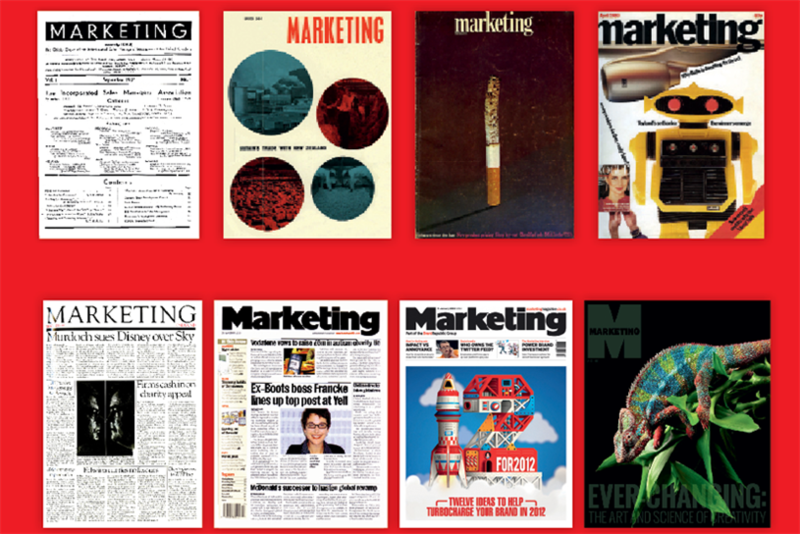 This is the last print issue of Marketing, but you will start receiving the new weekly Campaign from the 13 May issue. We will relaunch the website – at www.campaignlive.co.uk – on Monday 9 May. Online, we will be publishing content in our Brands Hub every day for marketers and those who seek a broader view on this world, from expert opinion on latest tech to distilling consumer behaviour trends to help inform your marketing strategy. You can sign up to receive a range of new and tailored daily bulletins, including the dedicated Brands email newsletter, as well as continuing to follow us on our existing social feeds, such as @MarketingUK on Twitter. The Marketing brand is not disappearing, however. Inspiring events such as the successful Marketing New Thinking Awards, now in its second year, will continue alongside our new portfolio of Campaign products. The new weekly print edition of the magazine will be complemented by an in-depth quarterly, both aimed at the broader market, with you at the centre. I would encourage you to dive in to see what we are about, in print and online, at the new Campaign. We will also be strengthening our focus on case studies and brand stories to showcase some of the amazing work that you – and your peers around the world – are doing. It is our view that, in today’s market, successful businesses are looking at the bigger picture. It’s almost become a cliché because it’s now so obvious, but operating in silos, without a holistic view beyond one discipline, is firmly consigned to the past. We believe that this new world is about creative marketers, whether they work for brands, agencies or other related businesses. And together we will celebrate this new breed of marketer. This is not about length of service in our industry, young or older – it is about approach and mindset. These are the smart, bold and versatile people who defy job titles, departmental disciplines and outdated industry silos to create brilliant and sustainable brand-building ideas that ignite new relationships with consumers. These are the people who are reinventing our industry. Creativity is not a soft word, and it’s certainly not reserved for creative campaigns and ad agencies these days. We’re talking about commercial creativity – that means efficiency, effectiveness, and getting brands closer to their audience. Creativity is about challenging the status quo, whatever the area of marketing, and embracing change. Commercial creativity is the lifeblood of the wider marketing world and it will inform everything we do on the new Campaign. Why are we reinventing ourselves? As anyone working in marketing is keenly aware, reinvention has become the new normal. Google’s Go-playing software AlphaGo has just marked a new frontier in algorithm-led data intelligence, while virtual reality is now open for business for brands. Zero-based budgeting is becoming a marketing norm, while agencies are broadening their offer into the heart of their clients’ business development. Meanwhile, the proportion of UK adults using ad-blockers has doubled in the past two years to more than one in five, according to the IAB. Thriving amid these constantly shifting complexities requires a clearer focus and a bolder vision than ever before, with smart marketers, agencies and all suppliers working together as true partners to invest in creative ideas that drive measurable business growth. The old partitions between marketers, creatives and media are becoming increasingly unsustainable. Marketers now appoint their own production companies and are taking programmatic media-trading in-house; creative agencies are offering media thinking; media agencies are producing creative work; and digital agencies that were once solely about back-end website-builds now often lead the creative conversations. Success today comes through better, fluid, integrated thinking that sits at the core of how brands interact with consumers. This is why we are bringing together Marketing, Brand Republic and Media Week under Campaign’s aegis. Silos are becoming untenable in our business, as they are in yours. As one team of specialist journalists and commentators from across the marketing world, with brands, advertising, media industries and tech providers to track, we will analyse and inspire creativity that builds brands and businesses. future and join us at the new Campaign from May. I would warmly welcome any feedback, ideas or questions you have . You can email me directly at rachel.barnes@haymarket.com. Read about our upcoming relaunch here: bit.ly/MarketingToCampaign.